"The Truth Behind Crop Circles" is a recently aired National Geographic Documentary Film on the mystical phenomena appearing in the fields all across the world, however a huge majority of which appear in the Southern England region, which might have something to do with the underground chalk aquifers in this area, also confirmed by the BLT Research Team ! "For centuries, strange and dramatic designs have appeared in crop fields throughout southern England. Are they alien messages or the work of human artists and hoaxers? Are they connected to Stonehenge and the area's sacred pagan sites? We examine several crop circle sites to look for anomalies and attempt to construct an elaborate crop circle at night to uncover the truth behind this fiercely disputed mystery." 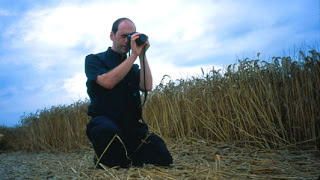 The Arcturians and Orbs : Crop Circle Creators !